Until recently, President Ronald Reagan’s March 1983 Strategic Defense Initiative (SDI) sat on an ash heap of good ideas. Reviled and mocked as ‘Star Wars,’ SDI’s legacy is complicated. However, with the advent of European Phased Adaptive Approach (EPAA) – an active AEGIS Ashore site in Romania (Poland upcoming), fielded Terminal High Altitude Area Defense (THAAD) assets, operational TPY-2 radars, and increased demand for added capabilities – a reexamination of SDI is needed. In short, SDI failed to pan out as expected, but created the structure and concepts enabling modern breakthroughs. Without the challenge Reagan issued, who knows where missile defense would be today. Yet, more interesting than ‘what could have been’ is investigating the causal factors that (1) led to SDI’s adoption and (2) why Reagan used valuable political capital to defend it. To answer these questions, one must pay homage to the impact of 80s popular culture, explore bubbling Cold War tensions, and learn the terrifying and captivating story of Able Archer 83. Popular culture parallels are useful in this requiem. In the 80s, two films tapped into Cold War hysteria: WarGames and The Terminator. In 1983, WarGames introduced us to a nerdy Matthew Broderick who somehow hacks into North American Aerospace Defense Command (NORAD) with a dial-up connection. He unwittingly challenges The WOPR (War Operation Planned Response) – a defense application designed to address human error by taking the man out of the loop – to a game of Thermonuclear War. In WarGames, movie-goers learned that sometimes the only way to win the game is deciding not to play at all. The true lesson: There are no winners during a nuclear back and forth. Mutually-Assured Destruction (MAD) doctrine has limitations when humans are involved. James Cameron’s 1984 classic, The Terminator, gave movie goers a leather-clad, killer combat robot rocking Ray-Bans, leather, and Arnold Schwarzenegger’s famously bad accent. In that epic, the antagonist, Skynet – a neural net-based artificial intelligence system – is activated to navigate the Cold War brinksmanship and eliminate the same human error plaguing the world of WarGames. Skynet’s subsequent ‘Judgement Day’ left the world in ash and ruin. Looking back, it’s undeniable that the Cold War environment, during production, deserves a spot in both film’s credit rolls. Science fiction tends to be a commentary on growing trends and current fears. It’s no surprise both movies arrived when they did. The 80s were a time of immense tension. The Cold War buildup delivered humanity the tools to destroy itself. These movies may seem kooky these days or even antiquated. Seemingly, the specter of Armageddon has ebbed. Though outwardly anti-nuclear, there’s a buried, less-structured message in apocalyptic cinema: The virtue and value of defense. Errors can unleash a cataclysm. A single rogue missile, careless operator, mistaken radar blip, or misinterpreted radio report could be deadly. If an end to nuclear weapons was impractical – and during this period of Cold War relations, it was – what other option was available to military brass? With nuclear weapons you cannot accept risks, nor rest on your laurels. Off-screen, it took one event to sear that message in President Reagan’s brain. Fear at that time was both warranted and palpable. Not since the Cuban Missile Crisis, in 1962, had Cold War tensions brought the bi-polar world to the brink. When Reagan entered office, he brought a new attitude to the Oval Office. Moscow entrenched themselves too. In the early 80s, the two sides barely talked. So, what if I told you there was an event so scary that many, especially the stern-faced calm, cool, and collected commies occupying the Kremlin were ready to light themselves on fire and leap from their offices into vats of vodka. Though the Cuban Missile Crisis may be the low-water mark for U.S. – Soviet Relations, 1983 was uniquely troubling due to the comparative might of nuclear power projection capabilities. By this time, the nuclear buildup yielded an unparalleled arsenal of warheads and gave us wonderful instruments of modern carnage as the MIRV or Multiple Independently Targetable Reentry Vehicle. What’s better than one nuclear warhead, try six, try a dozen or more in one missile. Instead of puny, ordinary ballistic missiles that could only target one city, one missile could layer the globe in mushroom clouds like a shotgun blast. It remains a mystery how the world survived November 1983. Able Archer 83 was the codename for a command post exercise or simulation carried out that November by the North Atlantic Treaty Organization (NATO). Command post refers to headquarters, meaning this was a top-level command and control simulation. What were they simulating? Escalation from DEFCON 5 all the way to DEFCON 1 (i.e. all-out nuclear war referred to a ‘Cocked Pistol’). Command-level exercises are not unique. Training for the worst comes with the territory. For comparison, during the Cuban Missile Crisis, NORAD went to DEFCON 2, termed FAST PACE (ready to engage in 6 hours). This particular exercise was slightly different. The Belgium-based Supreme Headquarters Allied Powers Europe (SHAPE) added new elements. These elements piqued the interest of eavesdropping Soviets who fixated on them. There was a unique format for coded communications, periods of radio silence, and most importantly the participation from heads of government (remember that last one). They even planned to shift headquarters in the middle of the exercise to an alternate site and conduct a radio-silent airlift of just under 20k soldiers to the theater. Essentially, they added a heavy dose of realism. Realism that almost led to disaster. As mentioned, the climate at the time was troubling. Relations were horrible. Jimmy Carter’s perceived feckless leadership calcified wounds between the two powers. Then the Iranian Revolution led to loss of face as the US-backed Shah fled a rabid populace that now hailed an Ayatollah and his revolutionary theocracy. Add to it the mess in El Salvador getting messier as the “friendly” military government was “draining the sea” as it were of insurgents – mostly communist FMLN – by adopting scorched earth tactics in the country sides. Once in office, Reagan ordered a massive military buildup – reviving the B-1 Lancer Program and others – and openly challenged the ‘Evil Empire’ in a famous speech. Reagan’s rhetoric, drawing loose comparisons to Hitler, rankled Kremlin leadership to the core. The U.S. Army was replacing the Pershing Ia missiles with the vastly improved Pershing II (in 1983) throughout Europe in response to Soviet SS-20 deployment. The Soviets saw these missiles as first strike weapons meant to bypass the constraints posed by MAD. These missiles were capable of destroying hard targets such as underground silos and bunkers. The Soviets were also knee deep in in their own Vietnam: Afghanistan. Add to that Cuba, a staunch ally, was floundering economically and draining Soviet funds. A pro-East regime in Angola struggled in the fight against a US-backed insurgency, as well. Lastly, Nicaragua’s Marxist government faced opposition from Contras who earned a ‘friend’ in Reagan. The world was falling apart in 1983 and hit critical mass in November. Enter RYaN. Who’s Ryan? Ryan – a Russian acronym for nuclear missile attack – was an intelligence gathering operation. Back in 1981, when Soviet Leader Leonid Brezhnev met with KGB Chairman Yuri Andropov, the head spy told him the, “United States [is] preparing a secret nuclear attack on the USSR.” Naturally, Brezhnev experienced a pucker factor, so he ramped up funding to support KGB services. What resulted was the largest, most comprehensive peacetime INTEL operation in Soviet history. KGB operatives working abroad were tasked to closely watch anyone who would decide on launching a nuclear attack, technicians and servicemen who would implement an attack, and any facility where a launch could originate. If you’re imagining a plethora of spies, double-agents, sleeper cells, and seductresses occupying local Air Force watering holes…you’re probably not far off. Details remain scarce but the scope leaves much to the imagination. The true goal of Operation RYaN was to identify the first intent of a nuclear attack and preempt it. This should sound scary. Remember, MAD relied on both nations seeking to avoid confrontation because any victory would be pyrrhic. Who wants to rule a scorched radioactive wasteland? Reagan even referred to MAD as a “Suicide Pact.” The fact that the Soviets came to believe a preemptive strike was a necessity shows how sour relations had gotten. No, this was not all Reagan’s fault either. I know people enjoy lobbing grenades his way almost as much as they revel in giving him zero credit for the USSR’s collapse. Truth is, Reagan’s rhetoric made an impression, but Soviet paranoia preceded “the Great Communicator.” Both Brezhnev and Andropov were old school and full-fledged believers. They took everything Reagan said literally and held a deep scorn for the West. They were zealots. Thus, by 1983 RYaN was a mature program reporting on the policies and suspected intent of American decision-makers. What agents observed shocked the Kremlin. See, from 1981-1983, the U.S. military executed Psychological Operations or PSYOP aimed at testing Soviet reactions and radar systems. Its modus operandi had vessels conduct clandestine naval transits through icy gaps near the North Pole, Norwegian, and Baltic Seas to get within range of key bases. Bombers would fly straight at Soviet airspace, only to peel off just before entering. The entire situation frazzled Russians. Of course, RYaN agents knew these near-penetrations were devised to assess vulnerabilities and showcase U.S. capabilities during a nuclear war…to some extent. Near penetrations are not unusual but represented a departure from Carter-era policies. Adding fuel to the fire was April 1983’s North Pacific Fleet Exercise. Over 40 ships, twenty thousand American personnel, and hundreds of aircraft: This exercise was massive. CIA involvement compelled the U.S. military to provoke a Soviet reaction in order to gather radar characteristics and other valuable signals. U.S. aircraft also overflew a Russian island in the Kurils. The Soviets responded by passing over the Aleutians. U.S. actions, while justifiable, instilled zero confidence in a paranoid Soviet leadership conditioned to fear the West, who saw America preparing for war and was listening to Reagan’s challenges. To compound matters, Andropov assumed Soviet leadership once Brezhnev died. Yes, the one guy convinced that the Americans were committed to launch a sneak attack, who once stated, “Reagan is inventing new plans on how to unleash a nuclear war in the best way, with the hope of winning it,” took the helm of the paranoid communist bloc. Yet, two events changed everything: the shooting down of Korean Air Lines Flight 007 and a false alarm. On September 1, 1983 – just a few months before Able Archer – a Soviet Su-15 fighter shot down the airliner heading from New York to Seoul via Anchorage. The aircraft drifted off course and well into Soviet airspace due to navigational missteps. The Soviet pilot took her down with air-to-air missiles. All told, 269 passengers and crew were killed including a sitting U.S. Congressmen, Representative Larry McDonald of Georgia. Wholly ironic, he was also President of the right-wing, anti-communist John Birch Society. Soviet damage control was abysmal. First denying the event, then arguing that the Boeing 747 was a spy plane despite the fact that the Soviet pilot witnessed blinking lights and knew it was civilian. Then again, they feared even civilian planes would be converted to military use, were a strike to occur. The Soviets also claimed the Korean Air Liner was a deliberate provocation. Six hours after the downing, South Korea mistakenly issued a statement that the aircraft landed safe and sound in Russia. Alas, they were misinformed by the always reliable Kremlin officials. The debacle brought relations to a new public low. The cover-up was brutal and hatred for the USSR intensified. Two weeks later the Soviets found the flight recorders but kept them concealed until 1993. One ‘benefit’ – if proper to say of this horrific tragedy – was that the Reagan Administration allowed worldwide access to GPS following the disaster. The second event brought danger even closer. On September 26, 1983 – the same month the air liner was shot down – the Soviet orbital missile early warning system (SPRN) codenamed Oko, saw something. What did it see? The system reported a lone ballistic missile barreling from the U.S. in the upper atmosphere. Imagine the Soviet strategic command that night. Frantic pounding on keyboards, communications circuits flooded with panic-filled reports. Amidst the chaos, Lieutenant Colonel Stanislav Petrov harnessed his logic. As in the WarGames – released the same year – when Dr. Stephen Falken – the man who created WOPR saw the screen full of incoming and outgoing missiles, stated “General, what you see on these screens up here is a fantasy; a computer-enhanced hallucination. Those blips are not real missiles. They’re phantoms.” Petrov too saw how illogical it all was. Why would the Americans fire a single missile? It made no sense. So, in a split-second decision, he dismissed the report as a false alarm. There, in their control room, they waited for an impact. The end of the world. He’d seen previous malfunctions and reasoned correctly this blip was nothing more than a computer-enhanced hallucination. But later, four more blips appeared as additional ICBM launches. He dismissed those too, wiped sweat from his brow and braced for shock. No, they weren’t ICBMs, but false alarms caused by a rare alignment of sunlight on high-altitude clouds beneath the satellite’s orbit. The Soviets stood ready to strike. Billions invested in state-of-the-art tracking equipment tricked by environmental anomalies. With the setting established, Able Archer 83 commenced. According to SHAPE historian, Gregory Pedlow, the exercise pitted a fictional country, Orange, commencing hostilities in Europe on November 4th. Two days later chemical weapons entered the fray. The exercise actually ran from the 7-11, but there was a non-exercise run-up that included simulated skirmishes, Russian invasions of neighbors, and anticipated diplomatic responses. But, this exercise wasn’t about conventional fighting. The goal was to test transition procedures to DEFCON 1. Simulated combat heating up, embedded KGB RYaN agents pushed reports to Moscow. Again, they were tasked, perhaps obsessed, with spotting the warning signs of an American nuclear attack. Yes, right when the Soviets were looking for clues, we gave them one – albeit simulated. Because of the added realism, a suspicion festered that Able Archer was merely a cover, a ruse, for an actual strike. The prolonged radio silences and new codes resonated as well. Why such secrecy if only an exercise? KGB telegrams poured in painting a picture borne out of paranoia and deteriorated relations. The thing is, KGB protocol required agents to simply report observations and not opinions. What you really had were agents abroad who knew this was a drill divorced from the assessment and analysis arm of Soviet decision-making. This was identified as one of the major flaws in Soviet intelligence operations highlighted during RYaN. Funnel intelligence through the Kremlin pipes and then let ‘experts’ far removed from ground truth sort it out. This is precisely what happened during Able Archer. The participation of heads of state exacerbated matters. The “Iron Lady” Margaret Thatcher and West German Chancellor Helmet Kohl played minor roles. On the U.S. side, the President, VP George H.W. Bush, and SecDef Caspar Weinberger were slated to have involvement in the final stages. Rumors of their participation amplified concern amongst RYaN agents. While a first strike seemed ridiculous, new communication procedures and a heightened state of NATO readiness created a cloud of confusion. This happens all the time. More information flows in and the timeline (albeit arbitrary) compresses. Time-sensitivity adds pressure. Demands for clarity are hampered by urgency and overbearing bosses. What was once believed, has a tendency to alter, shift. RYaN agents navigating exercise details, real-time, began to wonder: Could the exercise truly be a cover? A ruse? A Trojan horse to catch Moscow unprepared, unprotected? What were all the near-airspace penetrations with aircraft about? A pattern was emerging, one that fit neatly into preconceived notions. A self-fulfilling prophecy. On the morning of 8 November Supreme Allied Command Europe (SACEUR) requested approval to conduct limited nuclear strikes against specific, fixed Orange targets. Then, as planned, prolonged silence. For what seemed like decades, everyone waited for permission to take the simulated contest to nuclear heights. Giddy, care-free NATO operators might’ve even joked around to cut the boredom of the typically mundane exercises, left their consoles for a ‘head’ break, or snorted at their frustration that these weren’t the real thing. There’s no way of knowing this but having participated in similar less “nukey” exercises…time can drag, and tension-cutting is mandatory. Meanwhile, Soviets were caked in perspiration trying to decipher American intent. Locked in on their consoles with maniacal focus and filled with a gut-wrenching terror. Oleg Gordievsky, the famous double agent and highest-ranking KGB defector, made it clear when he said, the agents in the intelligence cycle simply reported and did not analyze information which fed an immense fear of nuclear aggression. Consider that for a moment. Sitting back waiting for hours and hours. Front row seat to a potential world’s demise. It was evening when SACEUR finally got their response…approval cleared the top echelons. Engage targets with nuclear weapons. On the 9th SACEUR launched their salvos against Orange. But, as in Terminator 2 – when the protagonists succeeded in stopping Cyberdyne Systems and de-facto Skynet – Judgement Day never came. Why? Reagan, Caspar Weinberger and National Security Advisor Robert McFarlane deserve serious credit for one decision. Prior to the exercise start, McFarlane considered the implications of involving Reagan and Weinberger in the decision-tree for the exercise. He reasoned correctly there was high likelihood that communications issuing nuclear-related orders would be intercepted by Soviet spies and monitoring systems. The risk was not worth taking. He pushed for the removal of the U.S. leadership element and won. A critical decision that averted potential disaster. Secondly, the actions of RYaN agents proved instrumental. Around the time the request was issued to go nuclear, Moscow sent a frantic “flash” message (meaning highest priority) demanding a final intelligence push to ascertain America’s first strike intentions. Soviets, fearing their only option a preemptive strike, readied their arsenals. The CIA immediately noted Soviet movements to ready strategic bombers. But, according to former CIA analyst Peter Vincent Pry, “this was just the tip of the iceberg…ICBM silos easily readied and difficult to detect…were readied as well.” RYaN agents, though, kept throwing reports to Moscow, and it is suspected some became more outspoken, opinionated, pulling the Kremlin from the brink of a nuclear exchange. Yet, it was Lt. Gen Leonard H. Perroots who may have played the largest role. As the CIA flooded him with INTEL on Soviet preparations, he resisted the urge to heighten NATO troop readiness. This decision was a crucial signal to the USSR that the attack was, in fact, a simple peacetime exercise. We had many contingency plans for responding to a nuclear attack. But everything would happen so fast that I wondered how much planning or reason could be applied in such a crisis… Six minutes to decide how to respond to a blip on a radar scope and decide whether to unleash Armageddon! How could anyone apply reason at a time like that? During the Reykjavik Summit from 11-12 October 1986, between Reagan and Gorbachev, the President could not be swayed from his commitment to SDI, despite Gorbachev’s proposal to ban all ballistic missiles. Though critics bashed Reagan for missing out on what they deemed a historic opportunity, the summit led to an enormous breakthrough: The Intermediate-Range Nuclear Forces (INF) Treaty. SDI investment continued, much to the chagrin of Soviets. Reagan’s decision then was wise and forward-thinking. Once the Cold War ended, SDI morphed. Political resolve for a defensive shield waned. By 1993, SDI officially came to an end. To some, President Clinton destroyed it. In reality, SDI lived on and funding was redirected to focus on theatre ballistic missiles under the guidance of the Ballistic Missile Defense Organization (BMDO). 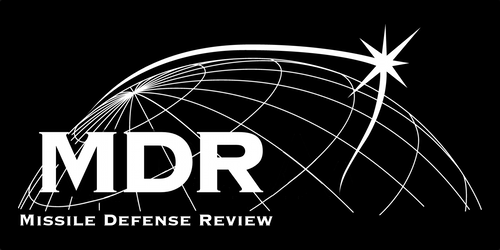 In 2002, it was re-christened the Missile Defense Agency. Yes, the agency at the forefront of BMD shares DNA with SDI. Those rumors of SDI’s demise were vastly exaggerated, and it continues to bear fruit, albeit in another name. The Cold War is over. Stockpiles remain, warheads rest in silos, strategic bombers await orders in their hangars, and ballistic-capable submarines prowl the deep on call. In place of a singular Soviet foe – Russia, China, North Korea and, one day, Iran – round out a list of potential adversaries. India and Pakistan (both nuclear powers) continue decades-long tension over Kashmir. The risk for miscalculation has intensified, especially with an explosion of non-state terrorist groups and nuanced threats in the cyber domain. MAD worked in a bi-polar world. However, even then Reagan reasoned correctly that MAD had considerable limitations. In this modern, complex, and seemingly peaceful world, it is easy to toss aside concerns. The East versus West, Capitalist versus Communist divide drew a clear line in the sand. Today, lines are blurred. Enemies and their intentions are less defined. The result is a more chaotic, unpredictable geopolitical space cloaked under a veil of stability. In this environment, missile defense capabilities are not only prudent, but a necessity. Humans nor systems can ever be error free. Rogue actors can destabilize the globe and state actors may adopt aggressive policies devoid of reason. Critics might question its utility, however, ballistic missile defense offers a critical safeguard. Given that global denuclearization remains elusive and problematic, investment and continued support for anti-BMD technologies is a sound insurance policy. Yes, the lesson Reagan learned in 1983 needs to be re-taught to detractors. Luck aided operators and decision-makers back then, but luck is fleeting. No, relying on luck in a nuclear world is hardly a strategy. Layered defense, sound policy, leveraging resources to reduce risks of miscalculation, and having the capability to respond when said miscalculation appears is a far more prudent course of action. Reagan recognized this and so should we. – Mark Olson is a former Lieutenant Commander, Combat Systems Officer, and IAMD Liaison to JOHN C. STENNIS Strike Group. A graduate of the United States Naval Academy (2006), he currently works for Delta Resources supporting Navy AEGIS Ashore’s Fleet Introduction Program Manager (PEO IWS 1.0) in Washington, DC. This entry was posted in SDI, Uncategorized. Bookmark the permalink.